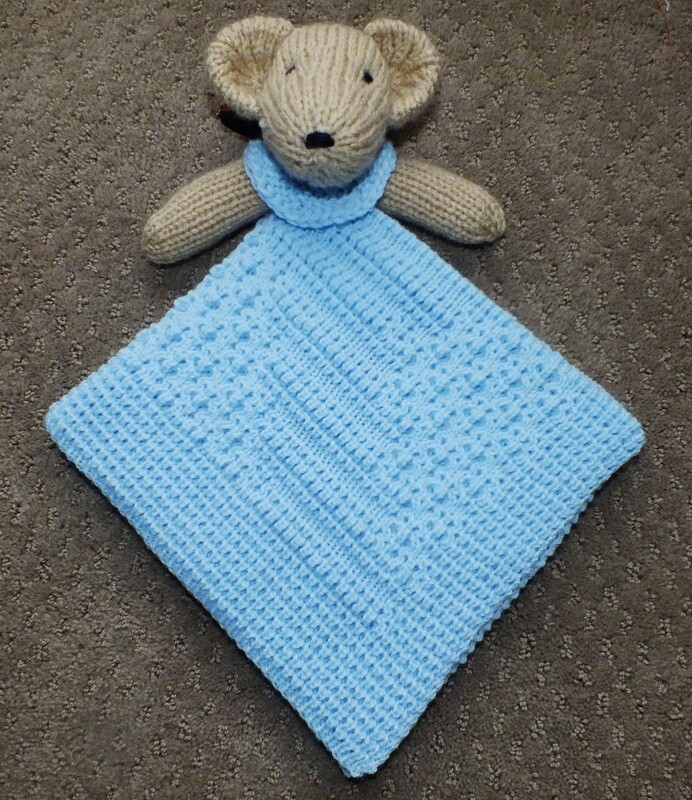 I bought the Mini Lovey Blankie Minagerie Pattern from Lorraine Pistorio and I am not disappointed! 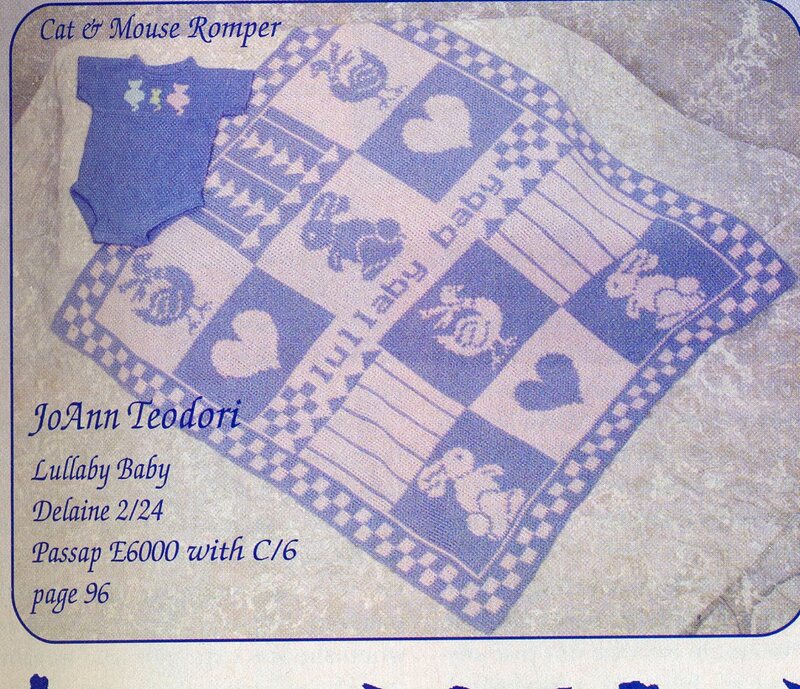 Another wonderful illustrated and well written pattern. 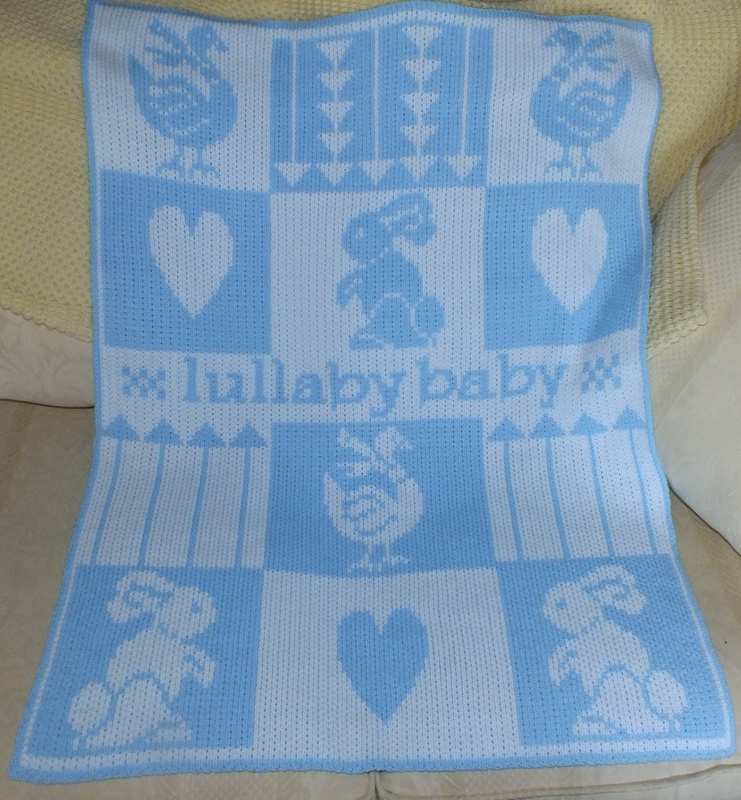 For the price you would expect to only get one design but you get all six animal designs and the blankets also. 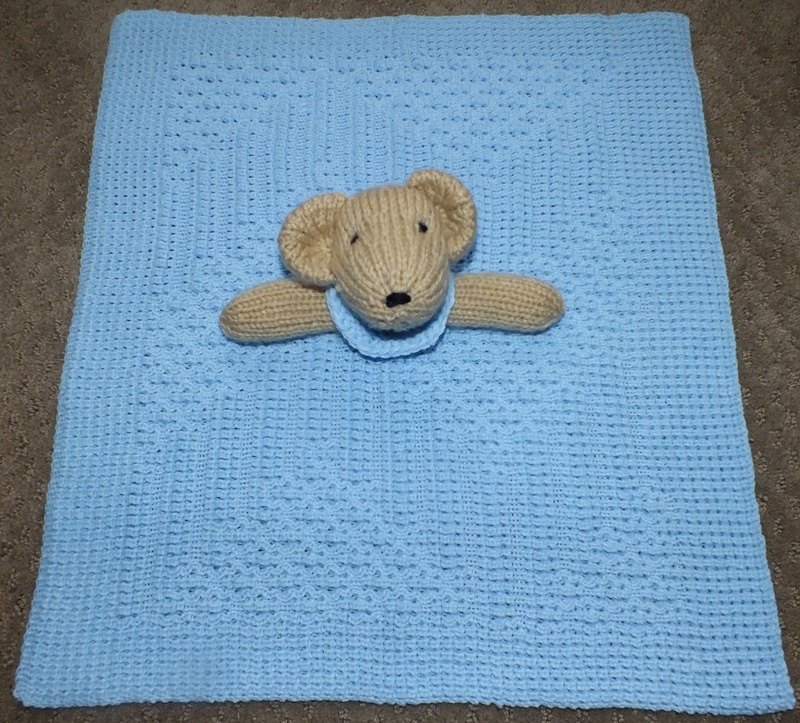 This little blankie is great for putting over the baby in a car seat without all the hassle of carrying a large one. Great for putting it over the baby while carrying it on your shoulder. 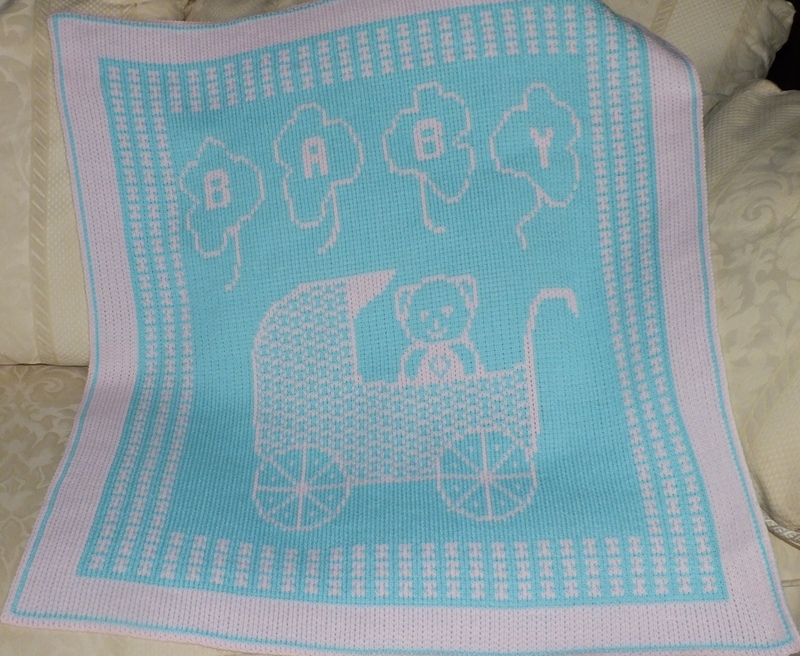 Great for putting it over the baby in one of the carrying holders. 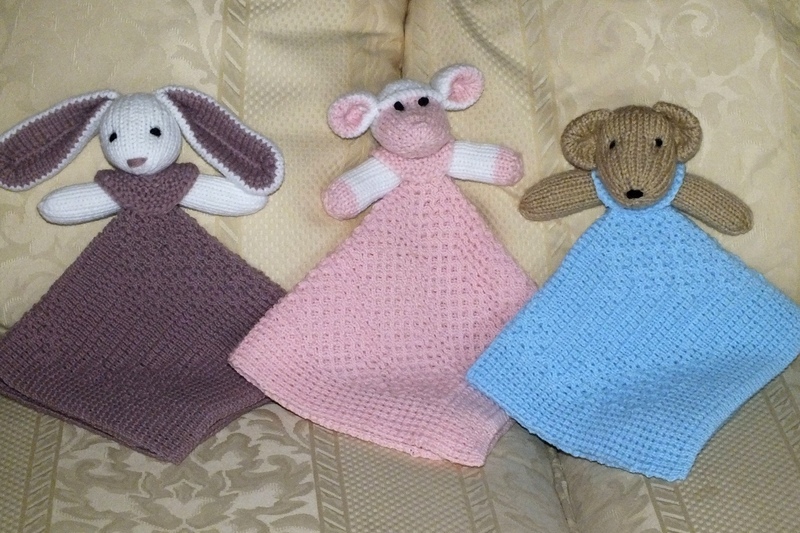 I can’t wait to do the bunny blankie. 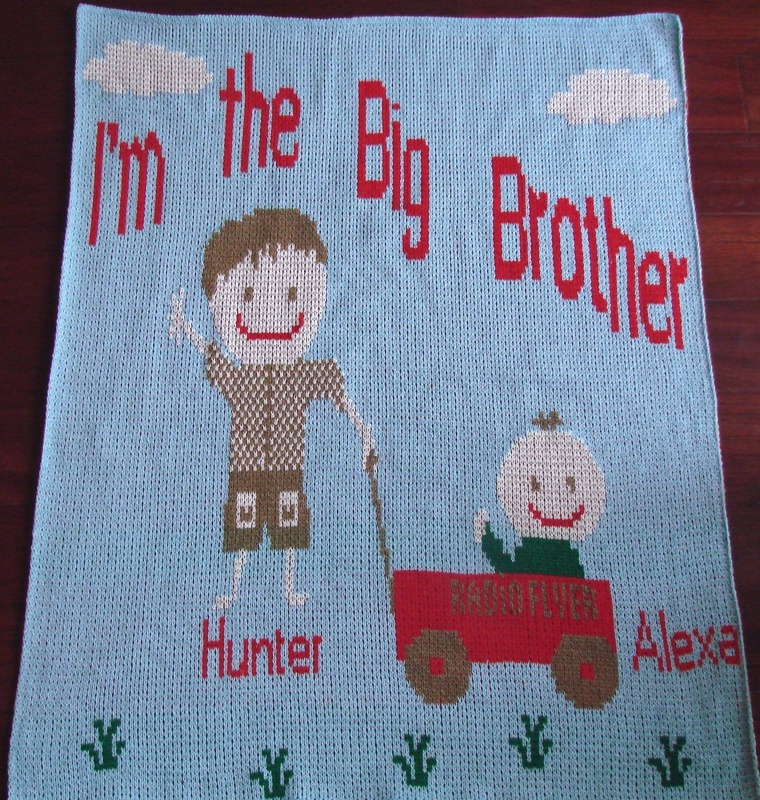 The shower that I was supposed to go to was moved a week later so I got the idea to knit the new baby’s brother Hunter an afghan of his own. My sister said he carries blankets around all the time. I asked my friend Sheila if she had any ideas and she told me to google I’m the big brother and that is where I got the idea. 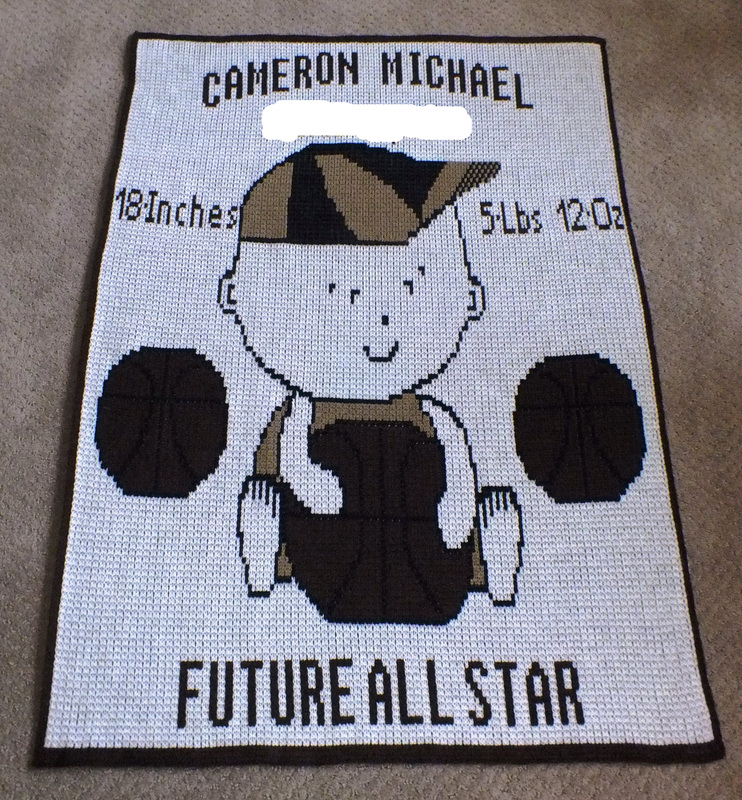 I had to snag each child and then reduce the pattern without using the correct proportion box. I used five colors . I had to arrange the grass and the wagon so that I could change the yarn in the feeder to the fifth color without having five colors in a row. On the back there are two green striped areas where I did this. I wish I had more time because I would revise this . 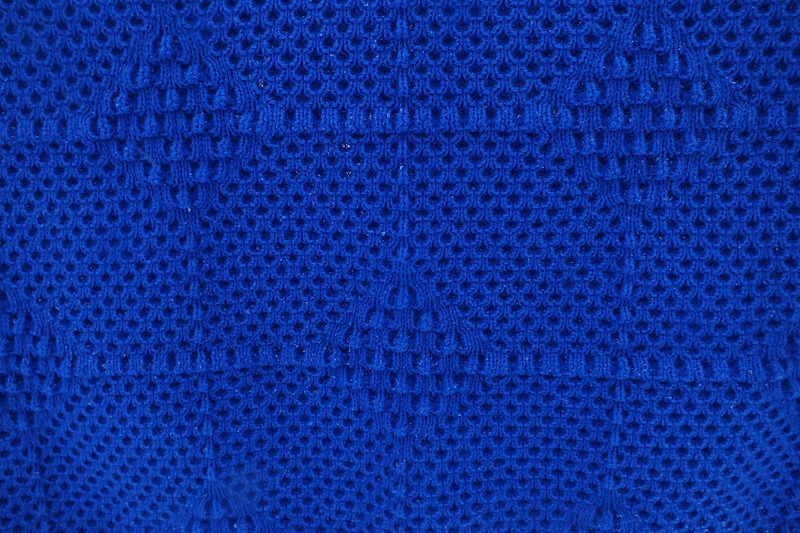 I only had navy and light blue. Royal blue would have been better. 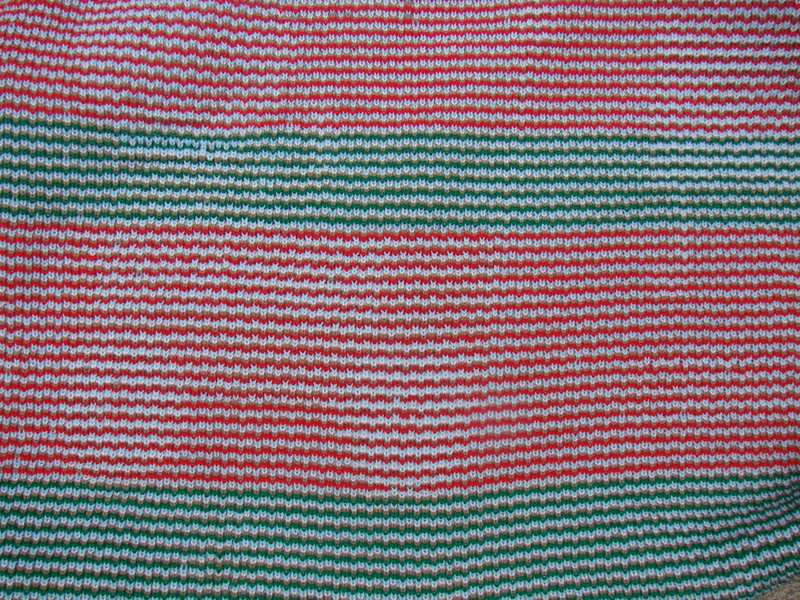 On the bottom of his pants in the afghan in the picture it looks darker where the green was on the back but in looking at it here, it does not show at all. 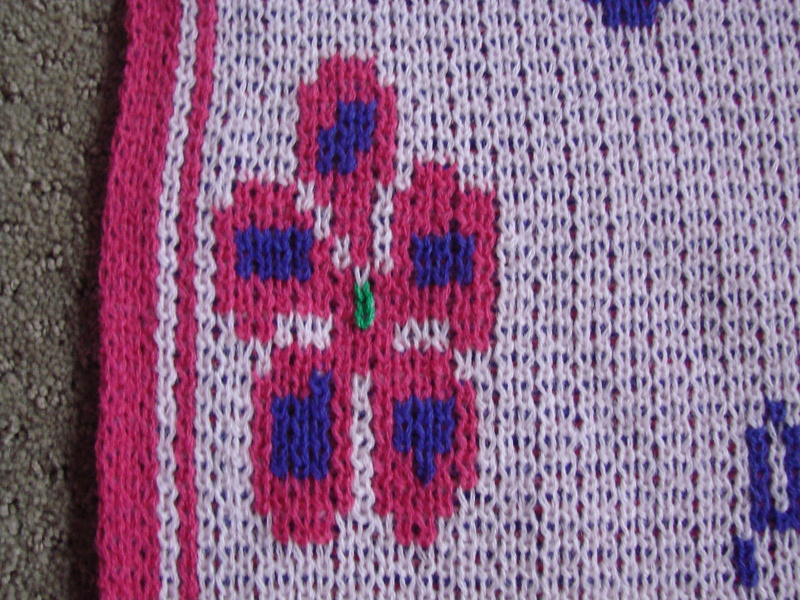 The second picture shows the back and the third picture is what I would do to correct the pattern. I also would move the girl and boy over to the left which is in the revised picture. Would also seperate radio flyer on the wagon and move to the left. 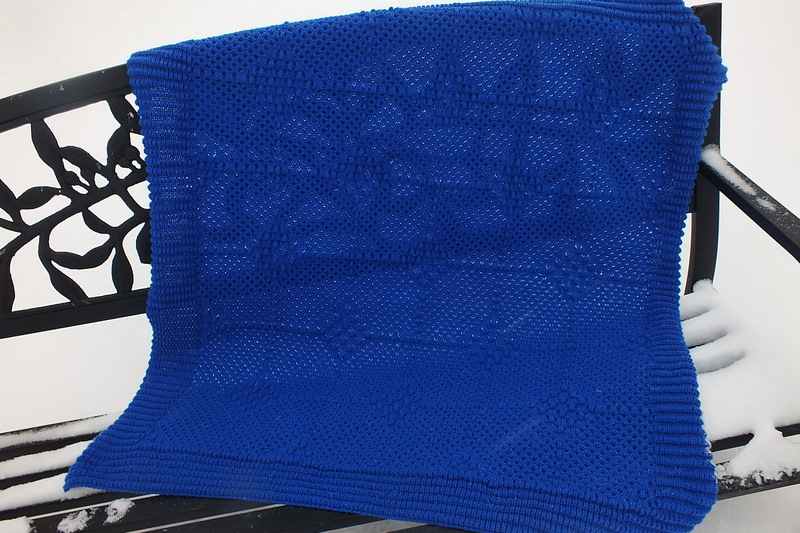 I only used 120 rows instead of 160 for a four color afghan and I like the size much better. 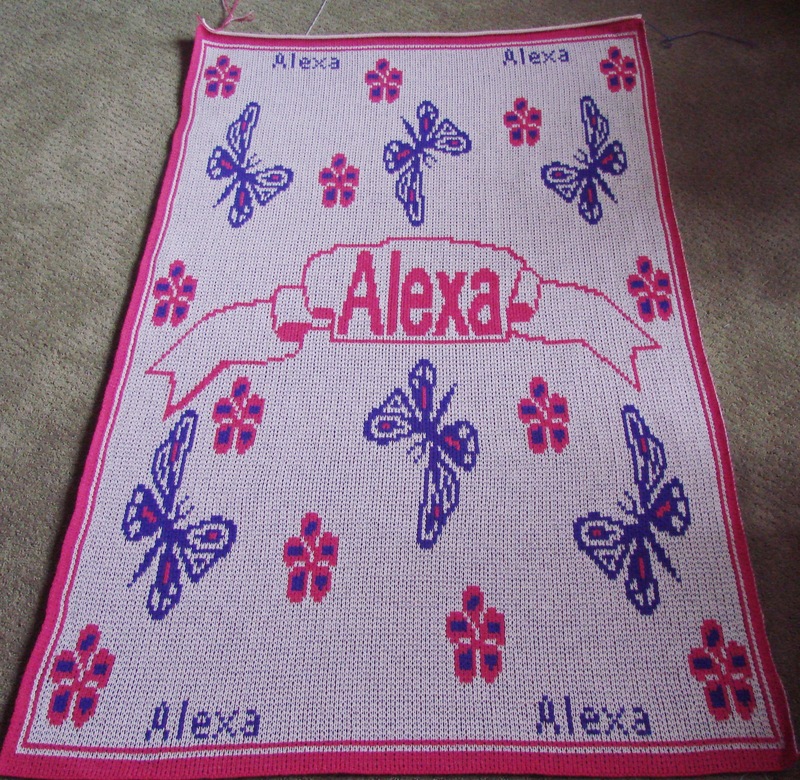 It is about 34 inches wide by 41 inches long. Another Cow Jumped Over the Moon ! 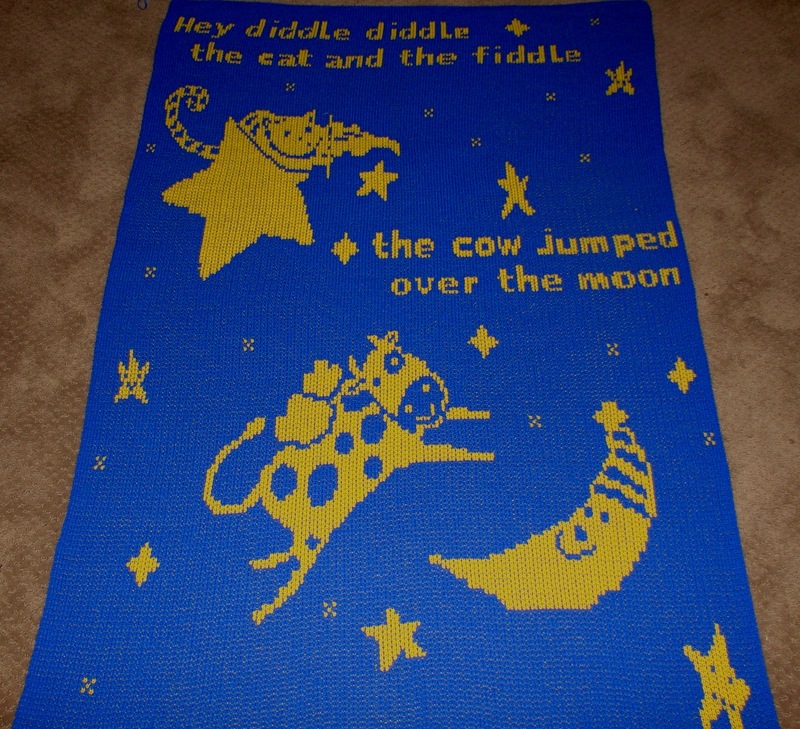 I made another cow jumped over the moon on my passap machine for my Etsy store. It is 36 inches by 56 inches in length. I won’t go into detail since I posted on a previous post.